The feed of Cocobella ambassador Julie Tran is a feast for the eyes! Her shots are absolutely stunning, beautifully styled insights into her passion for food and a balanced lifestyle. 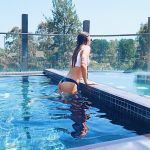 We chatted to this talented cook and photographer to find out what inspires her posts, and what goes on behind the camera! 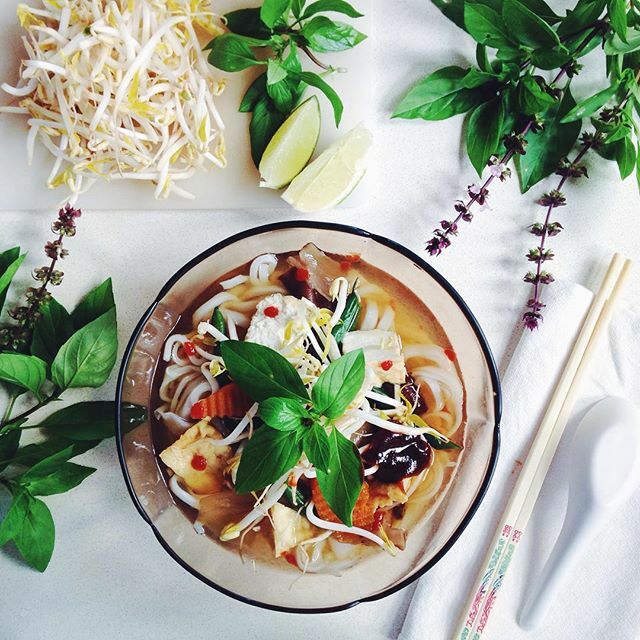 This Pho looks absolutely divine! You’re clearly very talented in the kitchen. What inspired you to learn to cook? Do you have any tips or advice for anyone out there wanting to hone their cooking skills? Also, what are your favourite ways to use Cocobella in your recipes? Pho is definitely the best comfort food! Both my parents are Vietnamese, so I grew up eating so many incredible homemade Vietnamese dishes cooked by my very talented mother. Her passion for cooking has definitely taught me a strong appreciation for nourishing homemade meals, from a young age. However, I have always been fascinated by food and nutrition even as a child. So whilst my friends in primary school obsessed over ballet or soccer, I either had my head buried in a giant cookbook or was busy making a mess in the kitchen! I’m very often asked, ‘How do I start cooking?’ or am told ‘I just don’t know what to make next?’ My answer is that there is no one solution! Enjoying the process of creating good food and being able to enjoy food itself is a constant and exciting journey. Creating good food is a very rewarding experience: from appreciating the beauty of fresh produce, to discovering harmonies between unique flavours, to presenting your creation in a way that allows you to feast with your eyes before the food even reaches your mouth. Keep asking the questions, keep searching for new ideas and keep learning. Ask the waiter what was in that incredible dressing, read the brunch menu descriptions to discover what was hiding in the delicious shakshuka eggs, go to local green grocer and pick up a new vegetable that you haven’t cooked with before. Understanding good food and how create it is a constant conversation and in today’s highly connected world, inspiration is more accessible than ever before. Youtube is a great place to start to learn the basics (Alex French Guy Cooking and Brothers Green Eats have some amazing beginners guides). Instagram is a constant feed of great ideas too – literally! And not sure how much Cocobella to put in your chia? Google will always be able to answer that for you instantly. Oh and one more tip: Have some good spices in your cupboard. A couple of little jars of garlic powder, chilli flakes, sage, basil or oregano can really transform even the most simplest of ingredients lying in the back of your fridge. Spice blends (e.g. guacamole spice or roast vegetable salt) are also a great when you’re first starting to understand where and how spices work. My favourite way to use Cocobella is when I want to be energised, hydrated and feel fresh from the inside out, usually at the start of the day. Coconut water is definitely a fridge staple for me and just so good in smoothies, chia puddings, and even oatmeal for breakfast. We love this #cocobellamoment, it sets the perfect vibe for a great start to the day! Do you have a morning routine? Walk us through an average morning in the life of Julie T! This was definitely a relaxing Sunday morning in bed. 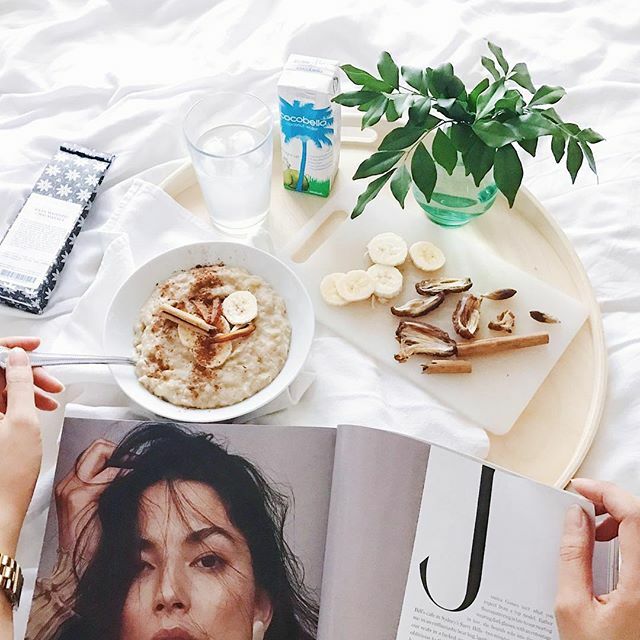 Taking my time having breakfast in bed with a magazine and a glass of Cocobella is such a lovely weekend treat. As a dental practitioner, I spend fairly long hours in our very busy clinic. My morning routine involves jumping out of bed and into my scrubs, then into the bathroom to brush my teeth (of course! ), get my skincare done – a day serum and nourishing moisturiser is essential as I spend a good 11 – 12 hours in the very dry clinic air. 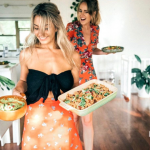 Then it’s into the kitchen for a quick breakfast that usually involves either a Cocobella smoothie, some eggs or a bowl of oats for a morning protein kick. Then I’m out the door with a Keep Cup full of coffee! 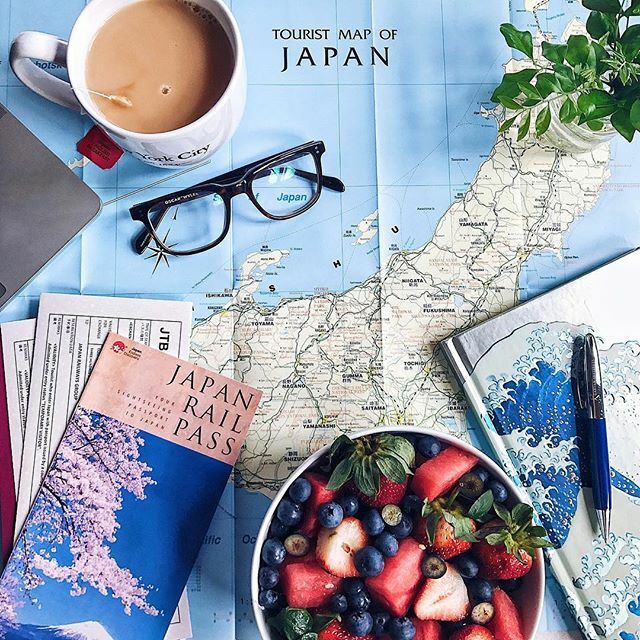 We’re so excited for your upcoming trip to Japan! 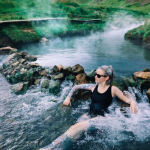 Have you had much of a chance to travel? What have been your favourite jet-setting adventures so far? Yes! I have just returned from Japan, which was an incredible trip and I left feeling so invigorated and inspired. It is a country so rich in both history and innovation. When it comes to travel, there is always something new to discover about the world around you and about yourself. It is the best way to remind yourself to look at the bigger picture. I’ve spent a lot of time in USA both for work and for leisure but Portland, Oregon will always have a special place in my heart. Aside from the fact that I have some amazing cousins who live there, it’s a gorgeous city surrounded by so much nature, think lush forests, waterfalls and snow-capped mountains. There’s always so much good food too and plenty of quirky charm that always makes me smile just thinking about it. Aside from Portland, New York City is also incredible – need I say more? Finally, my trip to Cabo (Mexico) early this year definitely deserves a mention too. There is something so rejuvenating about being close to the ocean and spending time in the sun at the beach. Cabo is definitely a great place in the world to forget all your worries! 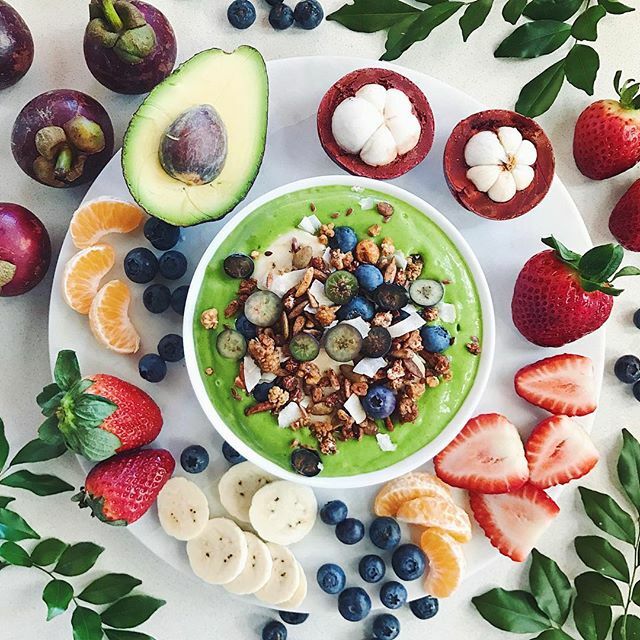 This Cocobella smoothie bowl is a green dream! There’s so many nutritious ingredients in this shot, we can tell you enjoy packing as much goodness into your meals as possible. What are the staple ingredients that you include in your diet the most? My fridge or kitchen staples, always includes fresh fruit and fresh vegetables. Finding a great place to buy quality produce is so important. Whether it’s your local green grocer or a local supermarket that keeps their produce section well stocked, always having good fruit and veg at home leaves you with no excuses. Fresh food tastes the best and is the best for your body. When I’m at the shops I always think about having something nice to roast, something I can stir-fry, and something I can steam or make a soup from. I try to buy seasonal produce but in terms of year round staples for veggies I usually stay stocked up on broccoli, green beans, carrots, pumpkin, sweet potato, kale, cucumber, tomatoes. In terms of fruit, I always have plenty of bananas. They’re such a great on-the-go snack especially when I’m rushing out the door in the morning. Avocado, grapefruit, lemon and apples are usually in the fruit bowl at home too. Now that it’s summer in Sydney, I’m definitely picking up lots of berries and mangoes too. This is such a gorgeous shot, so evocative of peace and calm. We know you’re a very busy girl, do you take much time out to relax and de-stress? What are your favourite ways to do this? It’s such a magical street, isn’t it? 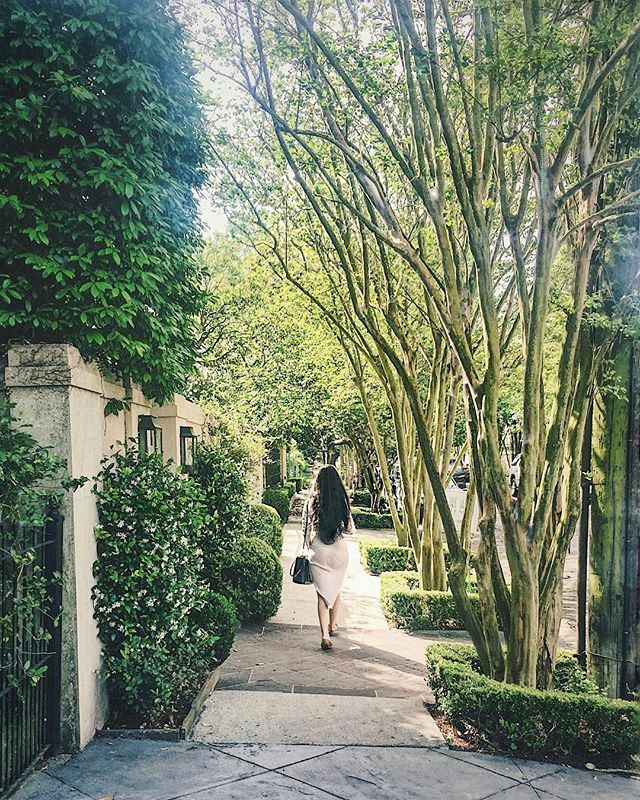 This shot was taken in the Garden District of New Orleans (another incredible place in the world) and I was definitely very relaxed strolling down the street. My very fast paced workday starts early and finishes late so taking the time to be able to slow down and calm my mind is quite important to me, whether it’s finding a peaceful neighbourhood to explore in a new city or even just going for a relaxing brunch on the weekend. Everyday life can become quite stressful no matter what you do for work and rather than trying to ‘escape’ from it, I prefer to work with it. I am blessed enough to say I love my job. I really do love working in dentistry. No matter how busy or stressful my day is, I feel so grateful that there are so many patients who want to come to my clinic and that I work with such a great team. Coming home from a busy day (everyday! ), cooking is my favourite way to unwind. I find that my mind is often still racing when I get home, so with that momentum I usually lunge into cooking mode as soon as I get home and get started on a recipe or dinner idea that’s been on my mind. It sounds frantic but it’s just how my mind works! Throughout the process of putting dinner together things begin to slow down and I find that I’m so relaxed by the time I’m plating up and ready to eat. Thanks Julie! Find last months Photo Diary with Jessy Wallace here.